Ridgewood High School girls basketball coach, Kristi (Cirone) Meade, is dribbling her way to the Missouri Valley Conference Hall of Fame. 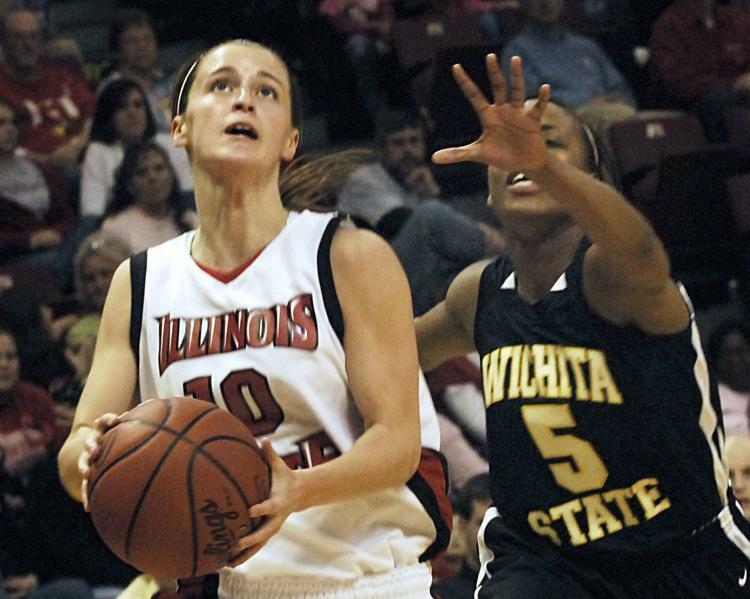 Meade, a former Illinois State basketball star, is among six people who will be inducted into the MVC Hall of Fame on March 8, 2019 in St. Louis, MO. A four-time All-MVC selection and three-time MVC All-Defensive Team selection, Meade also was a two-time WBCA and Associated Press Honorable Mention All-American. She was named a John Wooden nominee as one the nation’s best players and was a nominee for the Nancy Lieberman Award, which goes to the nation’s top collegiate point guard. Meade was humbled and shocked to be receiving this award so early in her post-collegiate basketball career. “Im excited. Receiving this award makes me think back to all my years at Illinois State and the people that supported me. I wouldn’t be able to do this without my coaches and my teammates. I keep thinking of all the great things we did. This is truly a testament to them,” said Meade. The annual Hall of Fame ceremony will be at Stifle Theatre, which is next to the Enterprise Center. This ceremony will be part of the State Farm Missouri Valley Conference Men’s Basketball Championship. To secure your spot at the ceremony you can purchase tickets by calling (314)444-4300. On behalf of Ridgewood Community High School and our community we would like to congratulate Kristi Meade on this accomplishment and welcome her to the Rebel family!